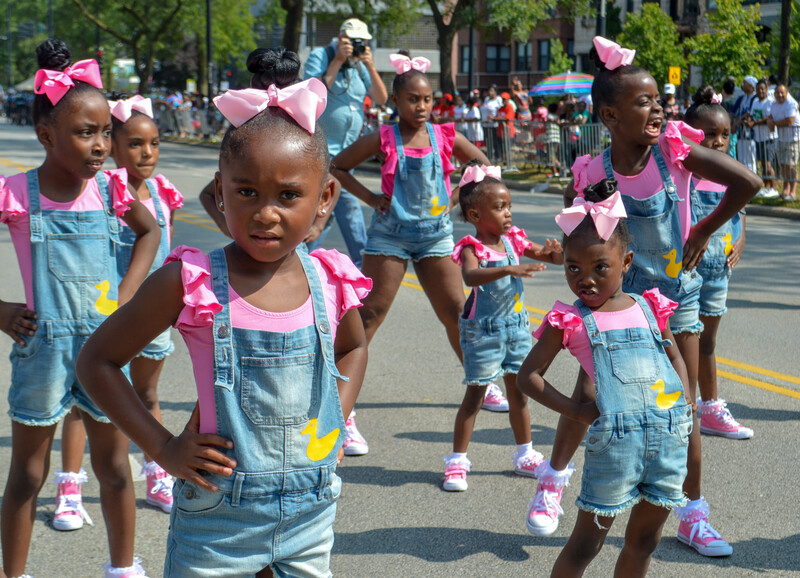 Now in its eighty-ninth year, the parade is a South Side institution. 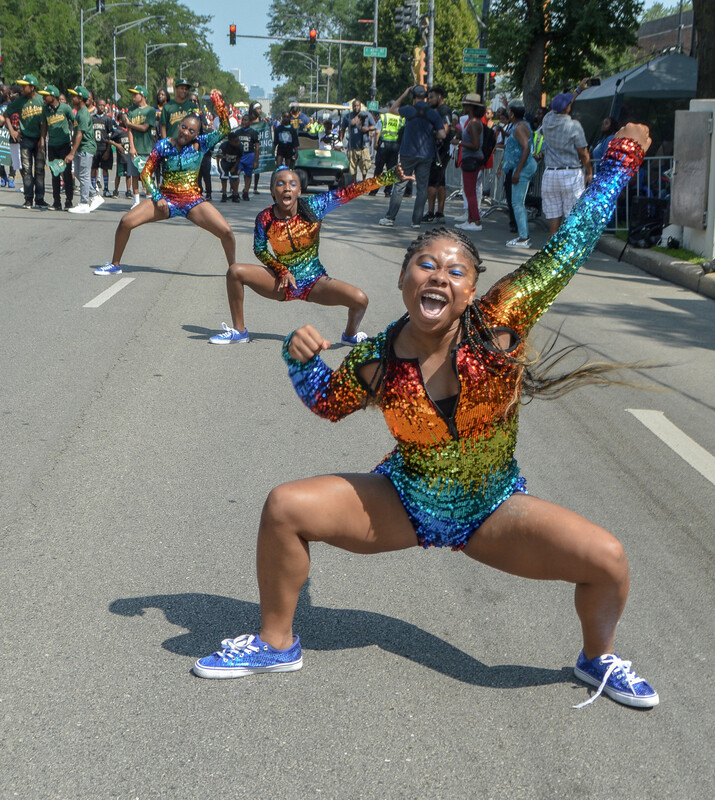 And since it was founded by the Chicago Defender in 1929, it’s grown into the largest African-American parade in the country. 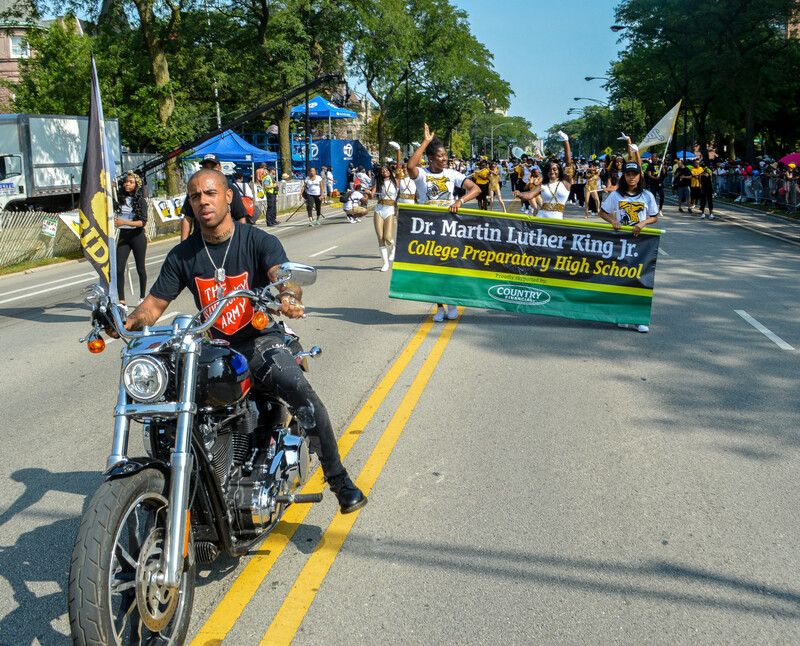 This year, rapper Vic Mensa and actor Deon Cole served as co-Grand Marshals, a role previously filled by Barack Obama, Chance the Rapper, and Chaka Khan. 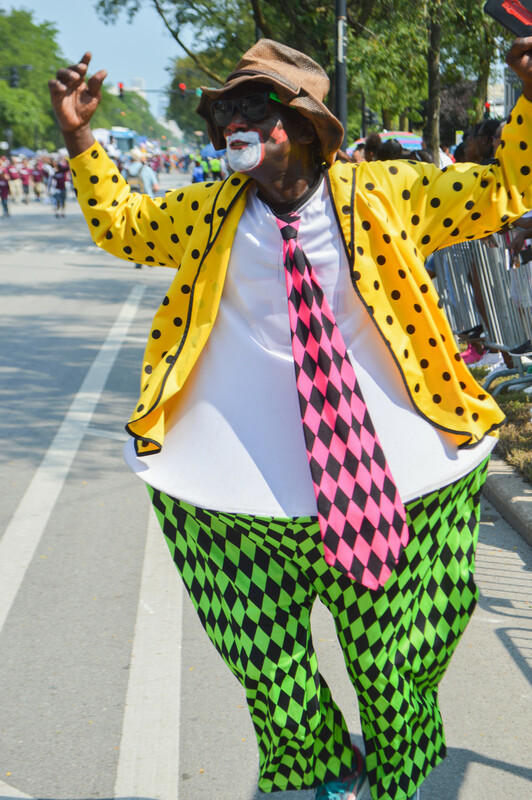 The parade is also an annual who’s who of Chicago Democrats. 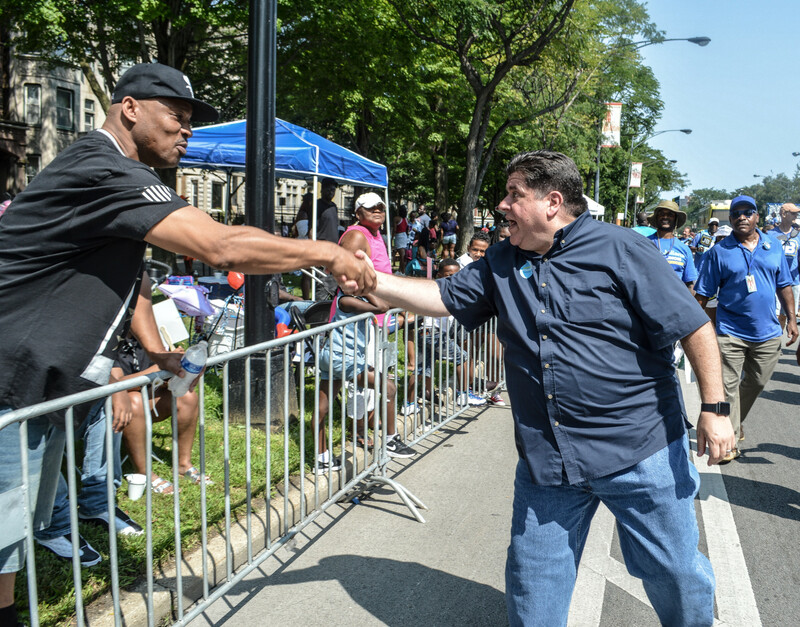 This year, gubernatorial candidate JB Pritzker marched with his blue-clad posse of supporters, enthusiastically waving to sporadic chants of “JAY BEE, JAY BEE.” Mayoral hopefuls with their eyes on the 2019 election—eight of them including Mayor Rahm Emanuel, by the Tribune’s count—followed with decidedly smaller entourages, interspersed with a slew of state and county officials. 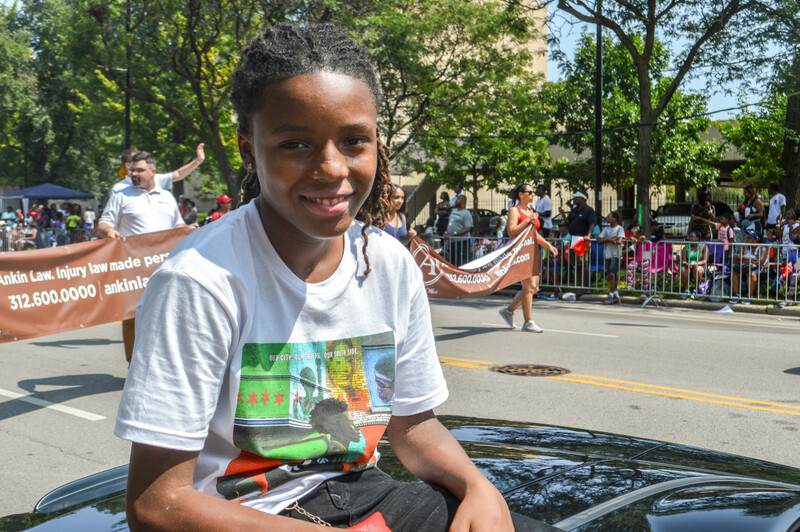 For Bronzeville resident and former Democratic precinct captain Zakiyyah S. Muhammad, the parade is an opportunity to make sure her voice gets heard. 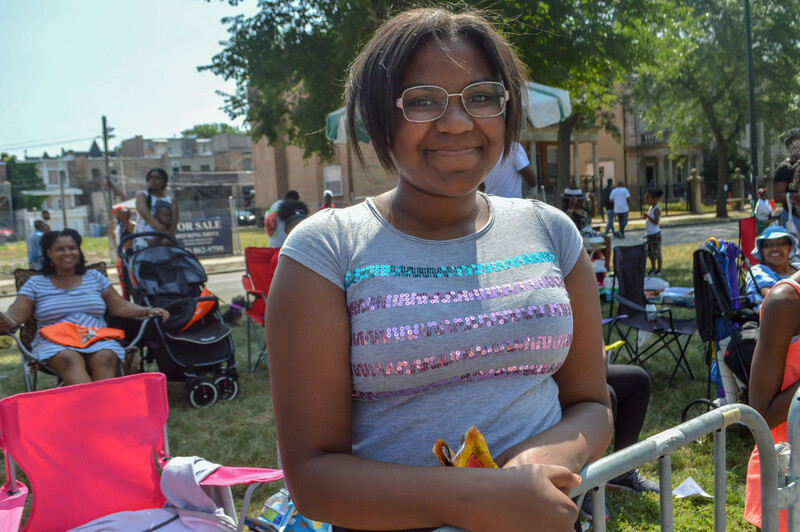 She was camped out on the sidelines with a bullhorn and “Rahm Emanuel Has Got To Go” written on a tent behind her. 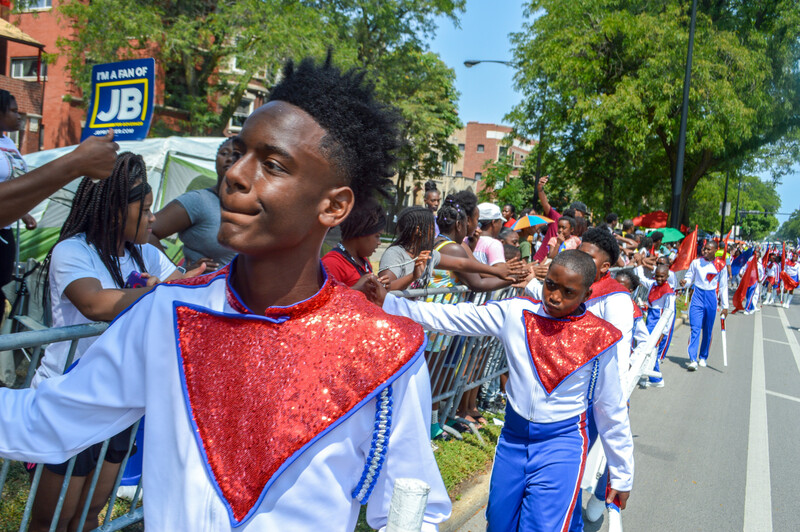 But for many parade-goers, the political bonanza took a back seat to spending the day with family, waiting for friends to march past, and cheering on their favorite float or performance. 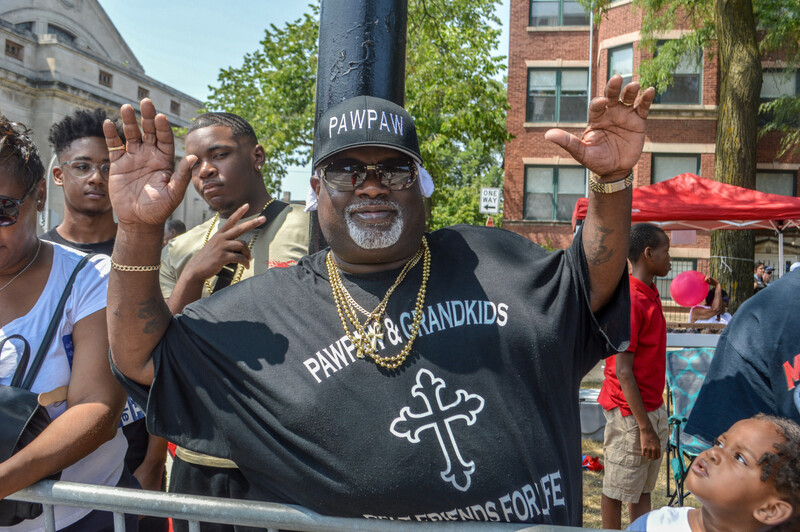 When asked why they come to the parade, almost everyone the Weekly talked to had a simple answer: it’s a tradition. 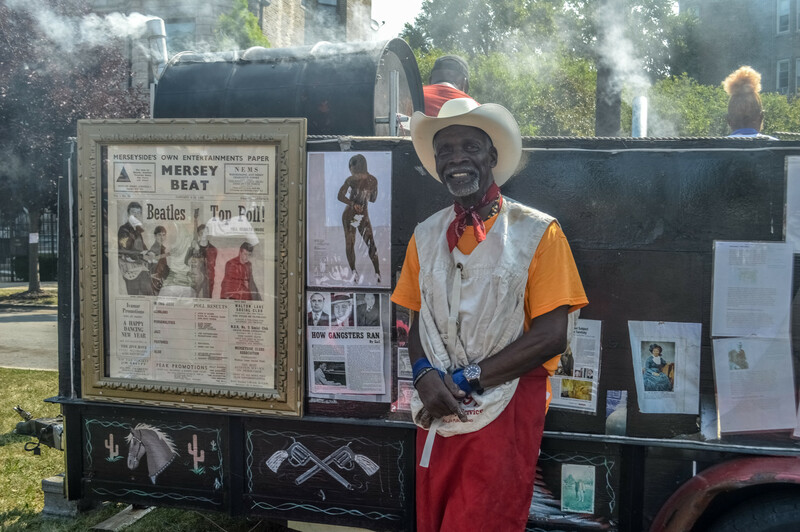 “This is my family’s heritage, my background,” said Fred “PawPaw” Kelly, who attends every year with his grandchildren. 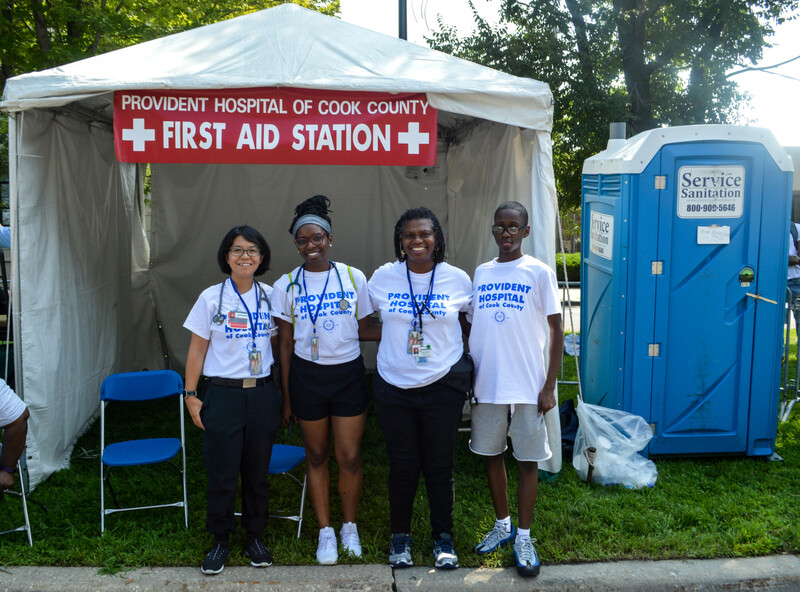 We spoke with people who have been coming to Bud Billiken for the past four, five, even six decades—and a few newer faces, too. Quinn Myers is a contributor to the Weekly. He is an audio and print journalist living in Pilsen. This is his first article for the Weekly. 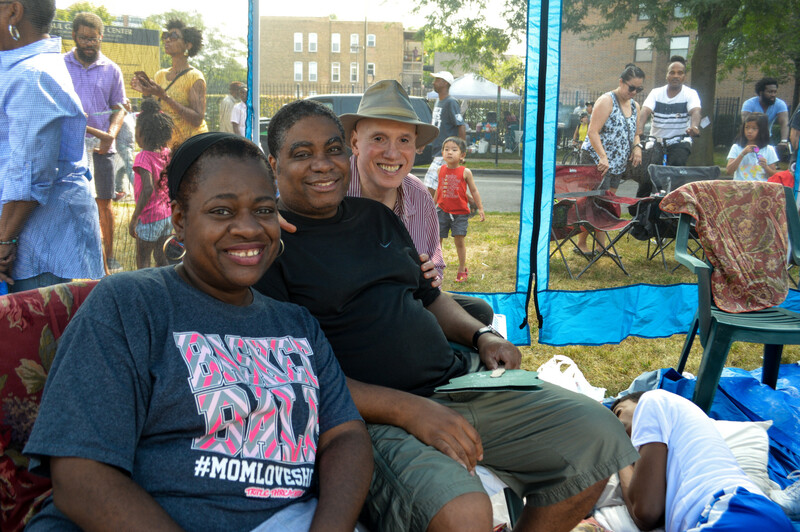 Bridget Vaughn is a producer for South Side Weekly Radio and a photographer for the Weekly. 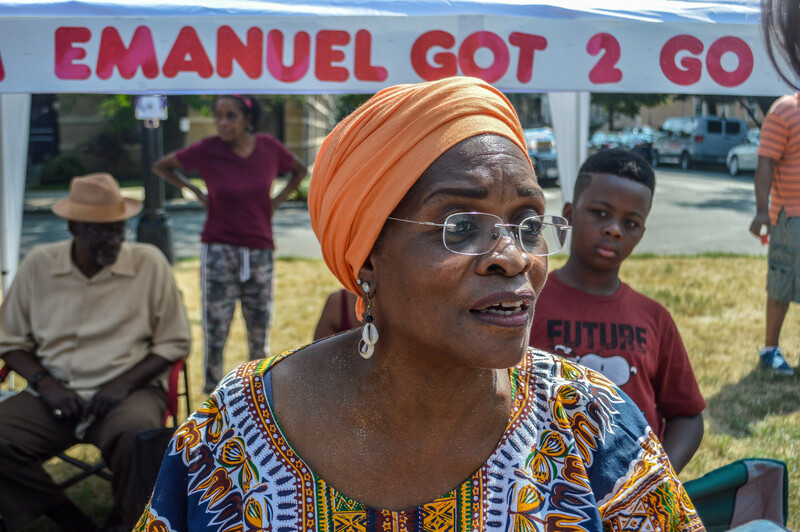 She last contributed an interview with jazz singer Tracye Eileen in May and was part of the team for SSW Radio’s reporting on Englewood high school closures and the history of Robeson High School. 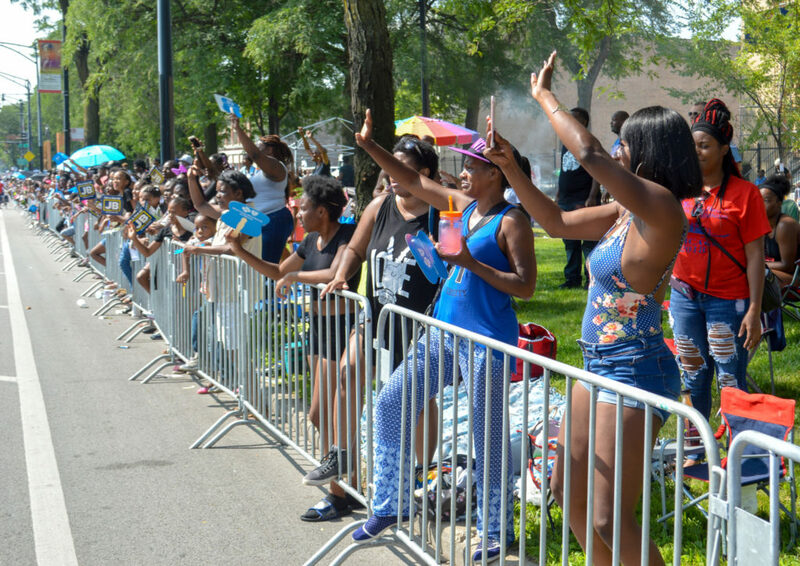 Great coverage and content of the neighborhood, people who watches the parade and those who participated in the parade. This is beautiful Bridget! 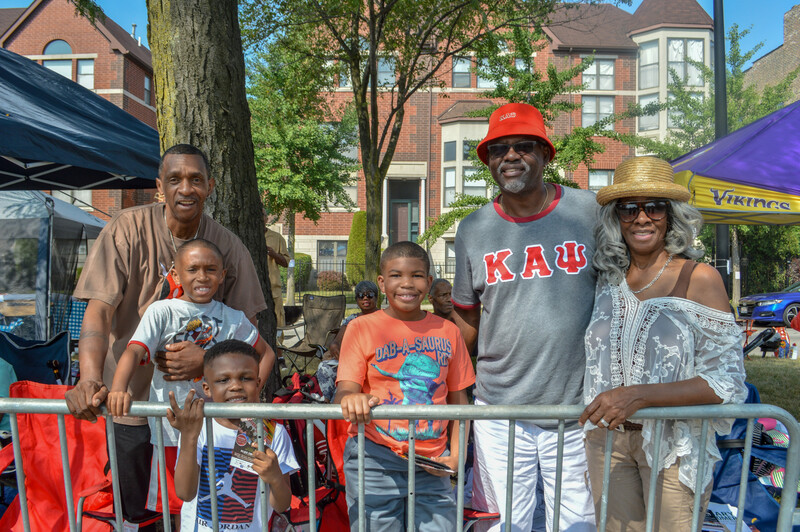 You’ve captured Thur essence of our community with it’s rich culture and diversity throughout third parade! I love where your passion is taking you!! !